Chicago =The Best City In The World; But You Probably Already Knew That. I might be a tad biased, but this city is teeming with tacos, donuts, art and amazing people who put their lawn chairs out to reserve street parking in the winter (genius, right?) 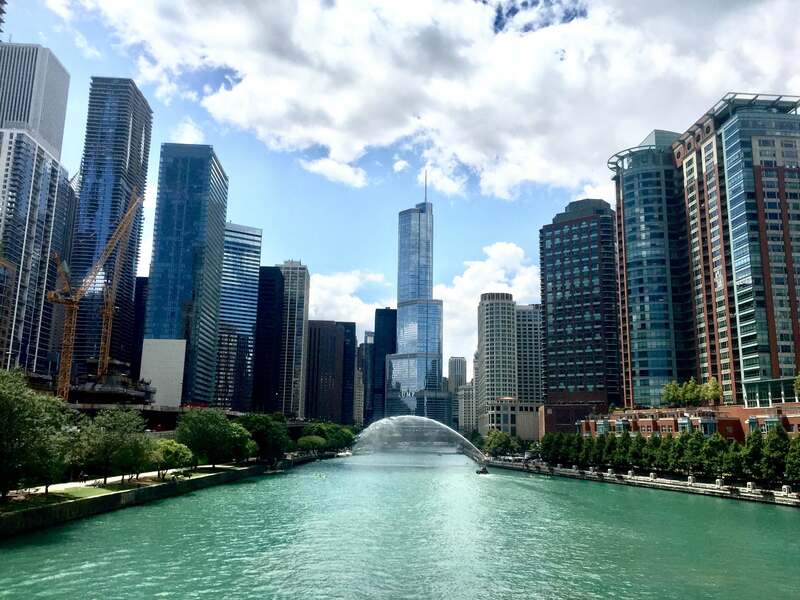 Jam packed with culture and historical architecture that houses many Chicagoans, the Chicagoland area is chock-full of opportunities for real estate brokers to build their businesses. If you are reading this article, there’s a high chance you already live here and are now considering where to plant or move your real-estate business roots. Whether you are a brand-new real estate broker who just received your license (Congratulations!) or a seasoned real estate agent/broker (Still, Congratulations, just less confetti), I am going to outline the commission structure norms in the industry to help you along in making your decision of who will hold your license. While this decision is definitely not as cool as dropping a penny off of the Willis Tower ( you probably shouldn’t do that,) it is truly important for you to weigh out what makes sense for you. Traditional Brokerages still rule the roost accomodating a large number of agents in the Chicagoland area. Within this model, agents and brokers are compensated from the broker through sharing the gross commission amount that is collected during the transaction process. Typically, a Franchise fee of 6-8% is deducted from the gross commission followed by a 50% Commission Split. Seem like a lot? That’s because it definitely is. Honestly, I think it is downright outrageous. If you’ve done your own research, you will probably agree. In this scenario, you might get rolls-royce decked out for your interview with their recruiter only to hear a pitch that outlines why you are paying the 50% that is nowhere on their website. Additionally, there may be a host of hidden fees. Big-Name Brokerages will leverage their Brand power and longevity to attract real estate brokers and agents to join. These real estate firms often supply their agents with support, training and leads as a part of the 50% commission split. At first glance,I am sure you might be a bit skeptical. But, this model does indeed give the agent/broker their entire commission. How is this a legitimate thing? There may be a small monthly fee alongside a flat transaction fee to allow the brokerage to offer the agent/broker tools, training and guidance. Brokers are able to take their extra commission and pocket the profits or invest it back into their own business with additional marketing and lead generation. Other 100% Commission companies give you a bare-bones structure and leave you to fend for yourself. They steadily back claims that you get a full host of training, tools and technology to catapult your business, but do not actively engage with you to ensure you are able to benefit from those tools. There is a unique 100% Commission model that defies the norm. Real People Realty has been serving the Chicago area since 2001. With over 500 real estate agents and recognized as a Top Workplace by the Chicago Tribune, it is one of the best real estate companies to work for in the Chicago land area. We stand by our agents ensuring they receive 24/7 support, superior Marketing and Lead Generating Tools. To find out more, click here.